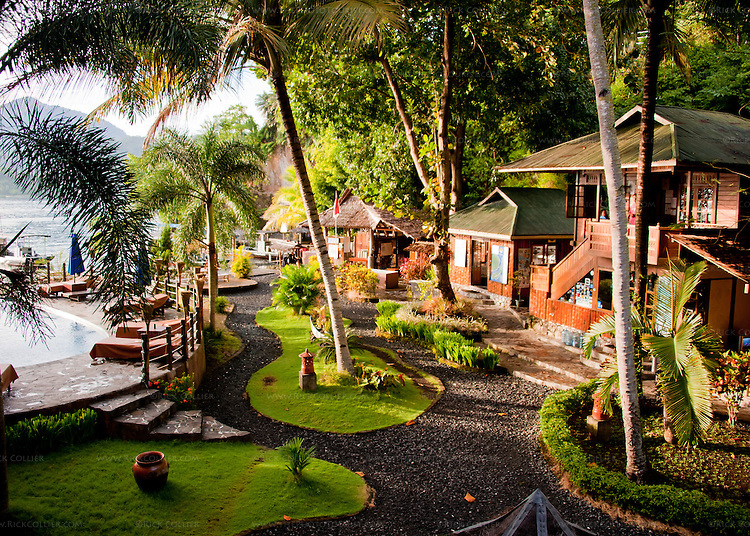 The Lembeh Resort is arrayed around a natural valley and harbor area, overlooking the Lembeh Strait. Standing in the restaurant (the photographer's vantage point), the buildings on the right are the dive shop ("Critters at Lembeh"), camera/equipment room, and dive shack. On the left are the pool and then the Lembeh Strait.